Perfect for stylish and fashionable spaces, the Tom Schneider Estelle Console Table makes for an outstanding addition to any home. 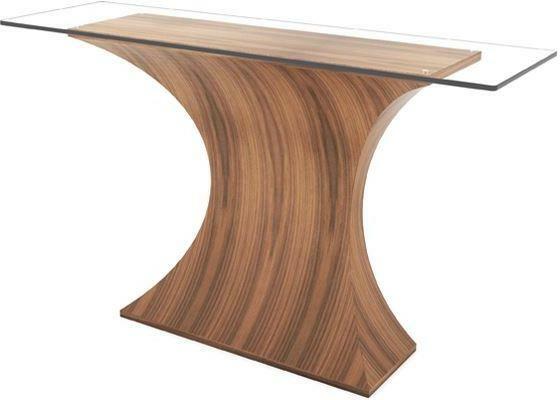 Part of a larger collection, the Estelle console includes a distinctive curved body shape that extends into a flat top surface. Use it for displaying a lamp, vase or any other piece of your choice. The wood construction is stunning and it's available in different finished including oak, wenge and walnut. You can pick the finish of your choice to complement your current space.